COLORADO CITY — The Colorado City Lady Wolves laid down 17 points in the first quarter to path the way for their 20-55 victory against the Bulldogettes varsity team Friday. Caitlyn Corley led the Bulldogettes with 9 points for the game. Cassie Grant added 5 more including 3 points from behind the arc. The Lady Wolves took control of the game early racking up a 37-7 lead by the end of the first half. Returning for the third, the Bulldogettes picked up play netting 13 points to 18 from Colorado City. Next, the Coahoma girls squad head to Merkel Tuesday to play the Lady Badgers in a district 5-3A match up. The game begins at 6:30 p.m.
Coahoma —Caitlyn Corley 9, Paige Atkins 2, Abbie Lopez 2, Cassie Grant 5, Madison Rogers 2. Colorado City — Sydney Quinn 3, Mia Monroe 19, Kaci Hudson 7, Morgan Munoz 2, Halina Hernandez 3, Taylor Smith 9, Kayla Casares 2, Haley Bridges 10. 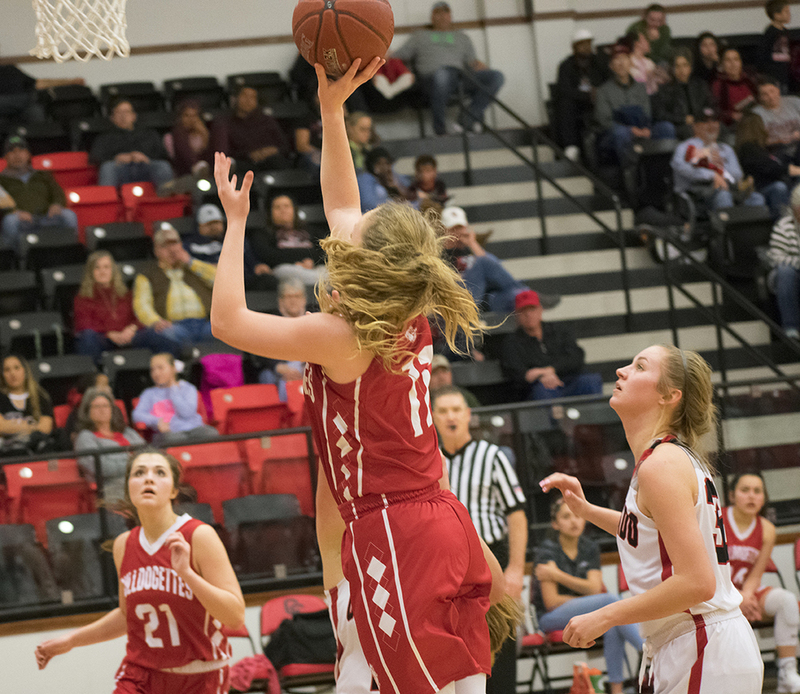 Free Throws — Coahoma 3-6 , Colorado City 11- 18; Three-Point Goals — Coahoma 1 (Cassie Grant), Colorado City 4 (Monroe 2, Hernandez, Smith) Total Fouls — Coahoma 11, Colorado City 10. COLORADO CITY — The Colorado City Lady Wolves beat Coahoma 8-30 in junior varsity basketball action Friday. Kaitlyn Johnson led the Bulldogettes in scoring bringing in 6 points. Next, the JV will play the Merkel Lady Badgers in Merkel at 4 p.m. Tuesday. Coahoma — Katlyn Johnson 6, Kaylie Kaczyk 2. Three-Point Goals — Colorado City 1 (M. Sims).